Casimir Pulaski Monument. Photo by Andrea Six. 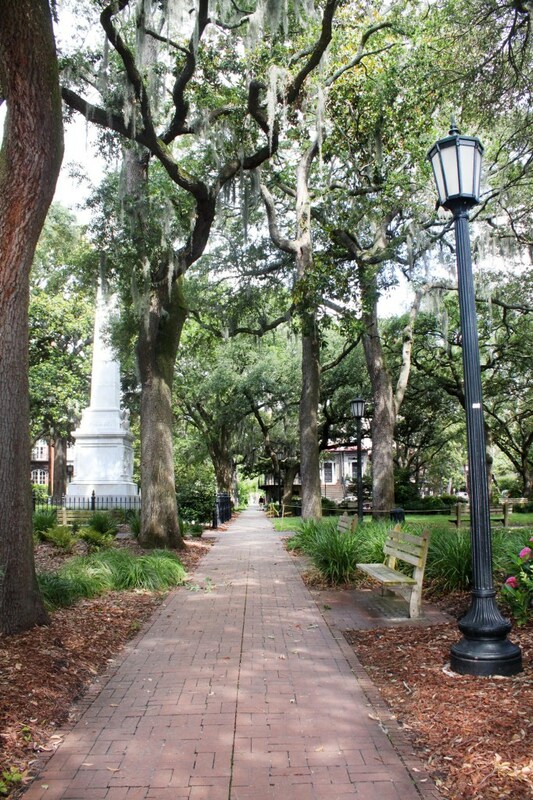 Just one block away from Savannah’s largest park sits Monterey Square, a shaded alcove that welcomes visitors to pause and check out the towering monument that pays homage to General Casimir Pulaski. 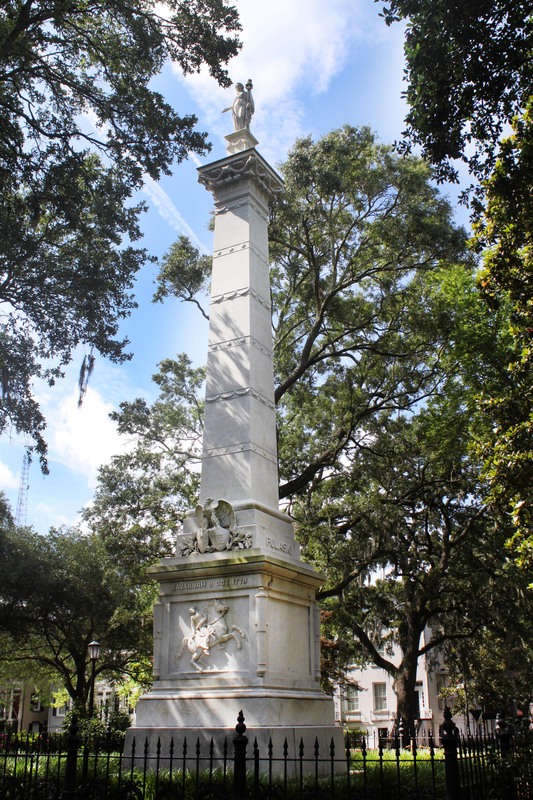 The square was laid out in 1847 to honor the 1846 Battle of Monterey during the Mexican American War “which a Savannah unit of the Irish Jasper Greens” but the monument in the middle of the square honors General Pulaski, who was shot during the Siege of Savannah and died shortly after. The exact spot where he was hit is approximately half a mile northwest of the square. Russian-born Robert Eberhard Launitz, a sculptor who resided in New York, designed the Italian marble monument. 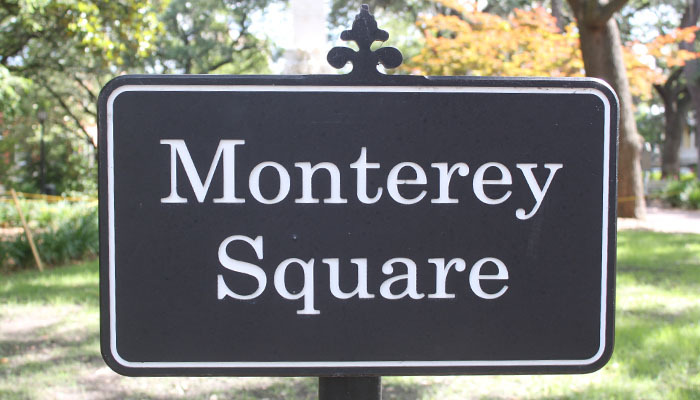 He chose this location in Monterey Square to house the statue because of the scale of the surrounding buildings. 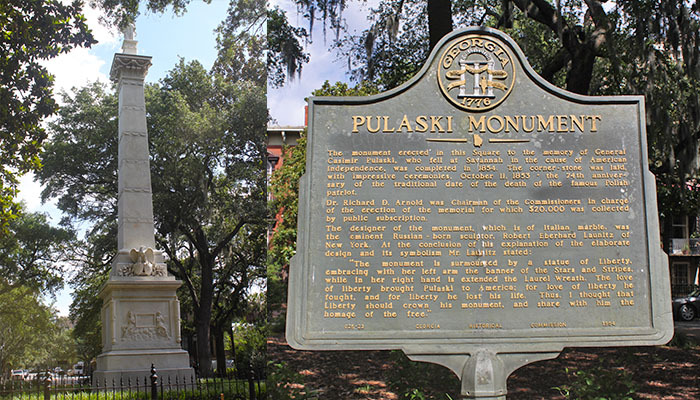 Though there is skepticism about Pulaski’s burial place, they found a man of the same age and stature in the Greenwich grave and placed his grave beneath this monument in 1854, when the statue was erected. Madison Square. Photo by Andrea Six. Overlooking the square is the Mickve Israel Temple, a Gothic Revival style synagogue designed by Henry G. Harrison, home to one of the oldest congregations now practicing Reform Judaism in the United States. 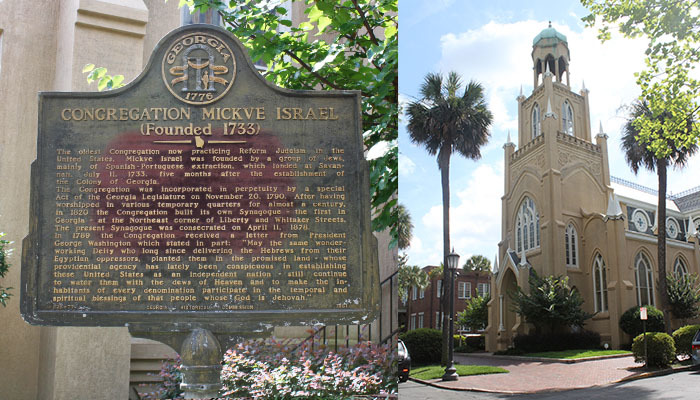 They landed five months after the Georgia was established as a colony and after worshipping in temporary centers for almost a century, they built the first synagogue in Georgia at Liberty and Whitaker streets. It wasn’t until 1878 that the present synagogue was built. 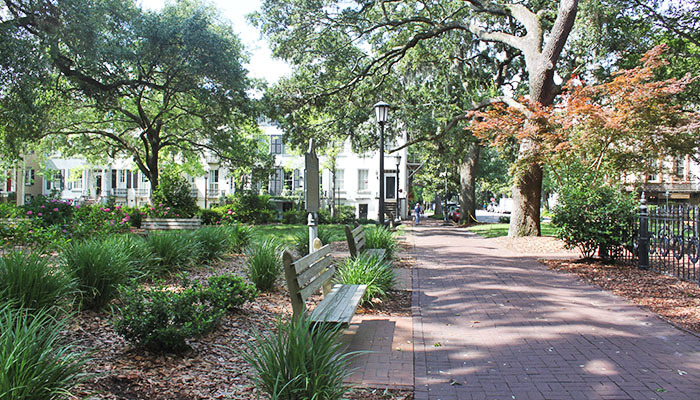 At the southeast corner, the Mercer-Williams House opens its doors to guests for tours. The story of Midnight in the Garden of Good and Evil revolves around this house, which was designed by John Norris and erected in 1871. 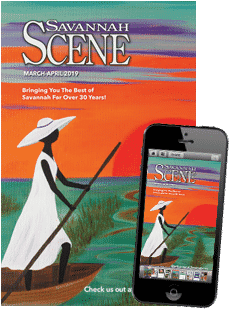 There is also the Comer Jefferson House by the square, where former president of the Confederate States of America, Jefferson Davis, temporary resided for a visit with his daughter to celebrate the centennial of the Chatham Artillery.